Last Saturday while most people were still in bed listening to the rain outside and enjoying the first morning of a three day weekend, the staff here at ESE Direct were making their way to Ellough Park Raceway for a staff away day. The day started off with an informative safety video (I remember there being a lot of flags involved) and a briefing on how to operate the karts and some extra advice to us newbies who hadn't raced before. Then it was time for a quick photo of everyone before the fun really began. 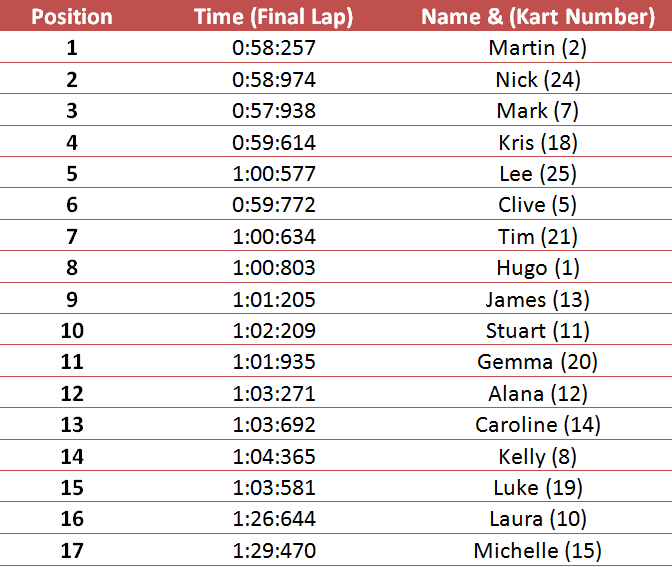 Then it was straight to the karts, the first 5 laps were practice laps to make sure that we were used to handling the kart and built up some confidence for the next 3 races. Here we are below settling into out karts before we head onto the track. Then we were off! Gemma who hadn’t been go karting before was doing extremely well, you can see her whizzing round this corner like a pro (she’s number 20) below. There was some great overtaking round the corners in each match, and with each lap everyone was getting more and more competitive. When it came to the big 15-lap race at the end everyone was out to prove themselves, whether that was first place or just to beat their previous lap times. Luckily by this point the sun was shining and most of the water on the track had dried up (apart from a few puddles which I seemed to find every time). The final few laps seemed to whizz by, after patiently waiting for the results, they were in the winners took their podium places. In third place was Mark, second place went to Nick and in first place was Martin, who also got a lovely bottle of bubbly to celebrate. It was a great day had by all, but some of us are still a little bit achey. 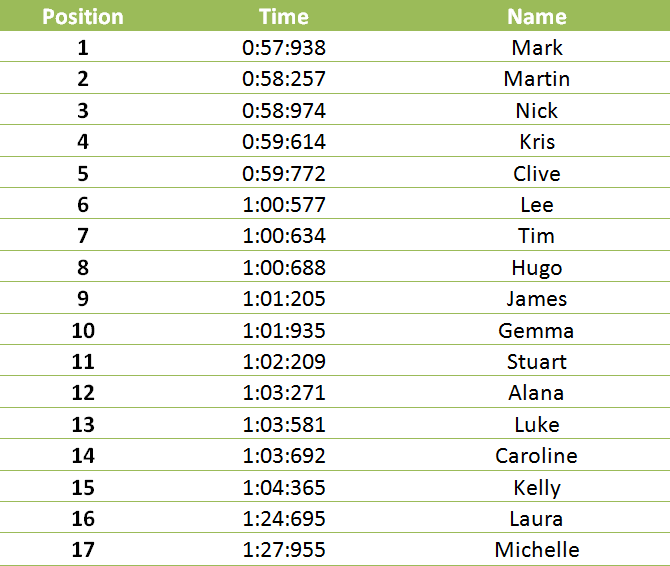 And in case you wondered, I came second from last.